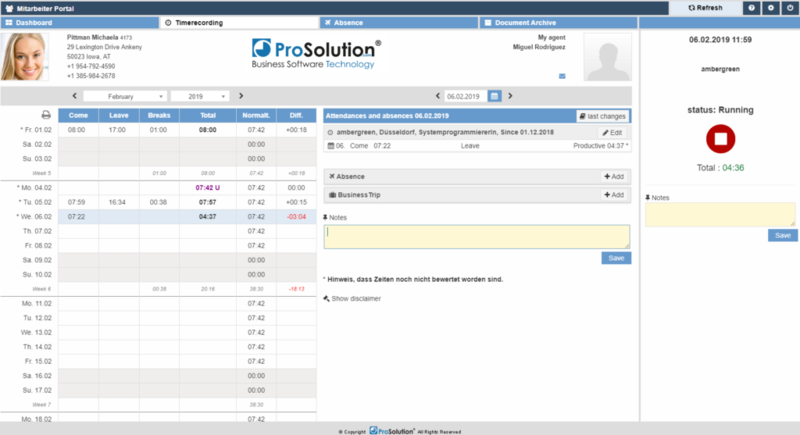 Time and attendance tracking software ProSolution go! - ambergreen S.L. Manage Time & Attendances from web, mobile or terminals and provide a self-service portal within minutes! ProSolution go! 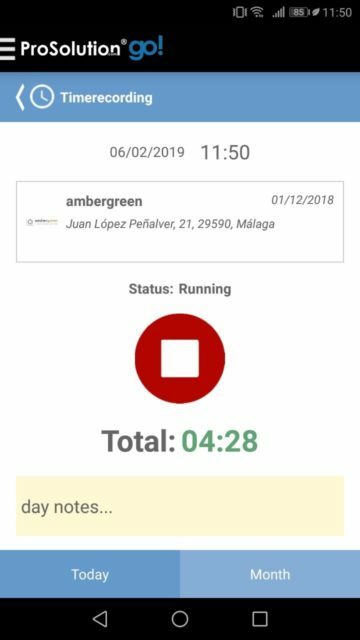 time attendance tracking software available from web, smartphone, terminals or also even combined. Furthermore its flexible and scalable, so it can be up and running in very short time, for companies of any size. Absences: Manage absences and holiday request in one go! 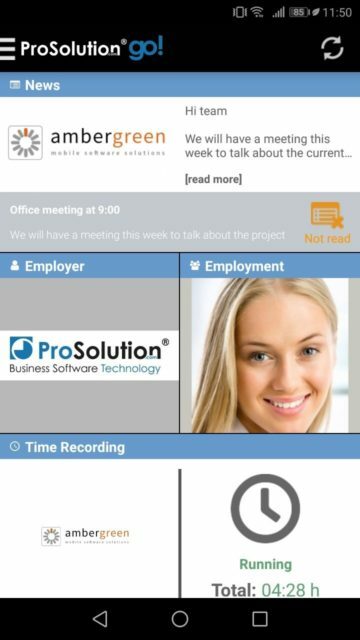 The Time Recording view will allow you to get your time and absences perfectly controlled. You can start/pause your time, always keeping track of your productive time. But that by far isn’t all – you can go for a detailed view of the full month to see all working time. If you forgot to start or pause your time, don’t worry, you can edit your time within certain defined rules and time ranges. You can see your absences there easily and even file a new request for leave. By the set of permissions and the setup of rulesets, go! can be adapted and configured to every company’s needs. If you prefer to provide a terminal device for time clocking, then we have terminals that support LAN and 3G connectivity. The terminals you can buy or rent in an all-inclusive package containing the SIM card and data volume. Thanks to the highest security standards in our DataCenter your data is secure. Data on mobile devices are not stored locally. Compliance documents to GPDR are available.